The Bureau of Labor Statistics just released their 2010 Time Use Survey and it looks as if the nation’s employment landscape is changing the way we live. Time.com’s Brad Tuttle is all over it. First the obvious news – Americans are spending more time than ever watching TV (2.1 hours per day, up 5.4 minutes from 2007) and sleeping a bit more (8 hours and 23 minutes a night, up 5 minutes from 2007). Some economists think most of these gains are because unemployed folks are laying around being deeply unproductive, which is how I would roll if I got the ax. The stats show that the typical unemployed American spends 200 minutes a day watching TV and 40 minutes looking for a job. This makes sense because the Internet has made searching for jobs more efficient, but an episode of Matlock still takes 60 minutes to watch. There’s no stats on percentage on Americans with scraggly beards or sweatpants sales, but I bet those are up as well. Something else that’s booming is homebrewing. Since 2006, membership in the American Homebrewers Association has more than doubled, surging from 11,724 members to over 26,000 members. Sales of equipment are up as well, growing by 16% in 2010 and on pace to hit double digits again this year. Homebrewers Association President Gary Glass told the New York Times that he thinks it’s the economy. “Part of the theory,” he said, “is that people have more time for hobbies when they are unemployed or underemployed.” Why not brew beer? It’s a great way to kill time and feel productive, and when you’re done, you get beer! I also think, economy aside, the rising popularity of homebrewing is an outgrowth of the rising popularity of craft beer. Some beer geeks get so into craft beer they want to make their own to see what goes into it. Of course having extra time on your hands and less dough in your pockets might help accelerate the interest folks have in brewing their own. All in all it’s interesting stuff, and it’s cool to see homebrewing lumped in with more mundane things like TV watching and the leisure habits of retired folks. It’s just another sign that the stuff we geek out about in these parts is moving ever closer to the mainstream. Now if we could only get a couple of damn beer shows on the teevee so those unemployed homebrewers could be watching something better than Dukes of Hazzard reruns! Ok, first of all… I’m going to ignore that you’ve glossed over the greatness of The Dukes of Hazzard. Second… that can’t be true, can it? People are sleeping 8.5 hours on average?!?! Because “on average” implies that some people are sleeping even more than that. And 8.5 is kind of unfathomable to me, so I can’t even wrap my brain around 9, 10, and 11 hours of sleep in one night. I agree that 8.5 hours of sleep on average seems like a lot – I thought it was closer to 7.5, but I guess not. I think they’re trying to say we’re a nation of fat and lazy slackers who like getting drunk on the cheap, but that headline would probably be too honest for our fragile American egos. All of that kind of goes hand in hand. 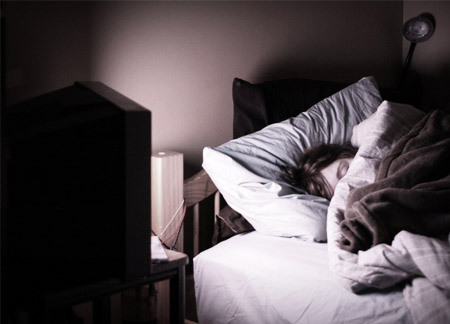 The more you drink, the more you watch TV, and the more you fall asleep in your chair at 7pm. Wait is that just me? Am I an alcoholic? Say it ain’t so. Oh well looks like the rest of the country is with me, bunch of drunks! Yes, you sound like an All ‘Merican Boy, Fat Cat! I would sell my soul to sleep for 8 hours! Good stuff, and I guess it makes sense although I wonder if other hobbies have gotten more popular as well. Its interesting that you’ll need to spend some money to get started in home brewing, which might not be the best move if you’ve just gotten laid off. Yeah, agreed. I get that having more time might lead to brewing more, but it take a few bucks to get into it and you don’t save a ton of dough brewing your own. Interesting set of articles, Jim. I can identify with the NYT article, in that my brewing friends and I are starting to ramp up our home brewing production as well as investing in more elaborate equipment. It really isn’t an inexpensive hobby anymore when you decide to move from extract to all grain (which is happening soon), or even when you formulate your own extract recipes, like the beer we are brewing this weekend, where customizing my own ingredients was much more expensive than buying a kit. In my situation, the equipment and ingredient costs are split three ways, but I can’t imagine doing the same thing on my own, especially if I were underemployed. That part of the article really doesn’t ring true to me, since there are a lot of sunk costs involved when you start to brew. And I certainly wouldn’t recommend it to anyone who just lost their job! Yeah, I wouldn’t recommend it either. Drinking whiskey in your bathrobe? For sure. Spending money of home brewing equipment? Not so much.